As of yesterday (28th of April) I finished Indie Game Month! April was dedicated to playing Indie games on Twitch. Managing to play through several games that were all really fun. This blog will be talking about these games and my thoughts about the month. During Indie Game Month, I was able to play so many games. I was really proud of myself because in 2017 so far, only 3 games have been played to completion. Here are some of the games that I played through Indie Game Month. I will not talk a lot about this game because my god it still makes my head spin. It is a brain melt. There is a blog where I talk all about this game. You can read that blog here. Pony Island.. *eye twitch*. I loved this game. This was part of my steam library for quite some time. Psychonauts is a fantastic game with a great story. 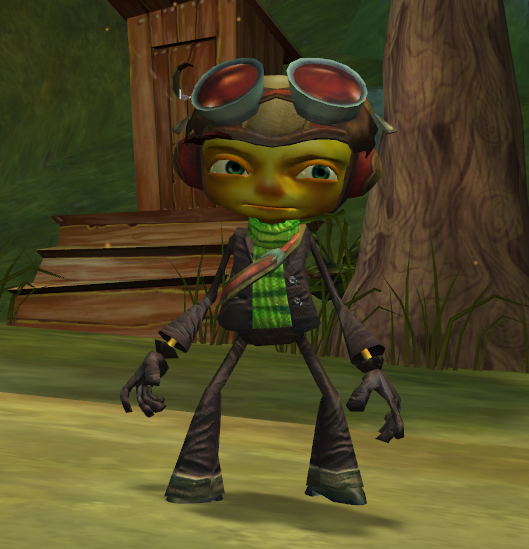 My thoughts on Psychonauts blog here talks more about the game. Recettear is definitely a time consuming game. But my goodness it is a wonderful game. 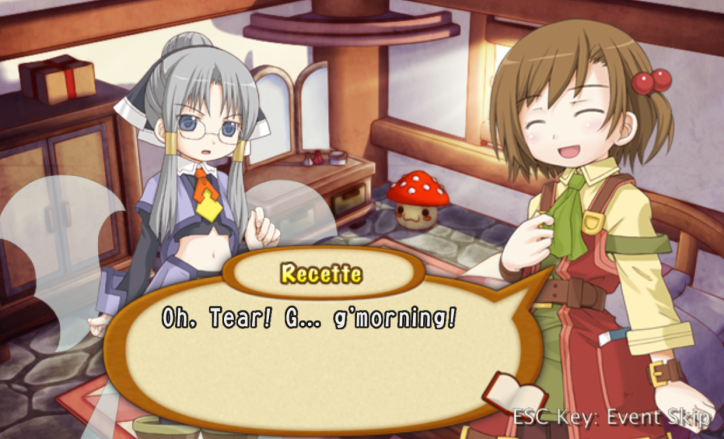 Recettear is a game you can loose half a day to and not realize. I wrote a blog about it here where I go into more details what the game is about. It is so freaking cute! There were a few games that I did not write a blog for. Beyond Eyes was one of them. 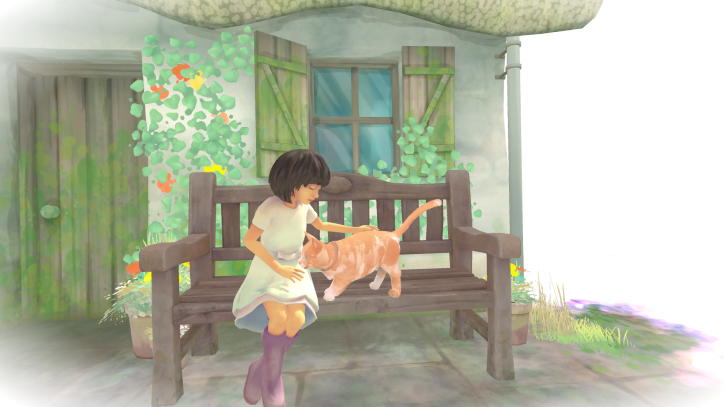 Beyond Eyes is an experience walking simulator game. The concept is you are a blind girl trying to find her best friend. Her best friend is a cat. While travelling, the world opens up and fills in with color. 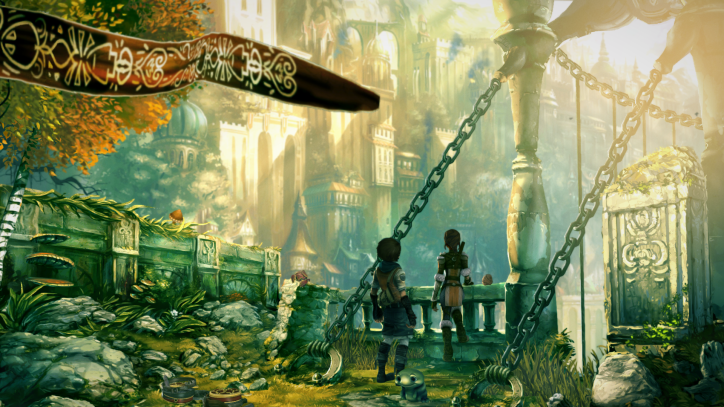 The art style is absolutely stunning and the music is wonderful. However I was a bit let down with how the game ended. I feel like I should of cried with the outcome, but I felt nothing. Maybe because it ended really short for me? Not sure. Overall the game was a wonderful experience. This game was so emotional. Blackwood Crossing was an amazing game. My blog about it here talks more about this wonderful experience. A game about coming to terms with life and loss. This was the only game this month that brought me to tears. Big massive sappy tears. Blackwood Crossing hit very close to home to me. I enjoyed this game. This game was a 2nd in a series. When I first started Silence, I had no idea about the first game. Looking back now, playing the first game Whispering Worlds may of been beneficial. I felt that some things with Silence were disjointed for me. There were some story elements that made little sense to me because of lack of knowledge from the first game. Apart from the small disconnects I would have, overall the game was enjoyable. Silence is a point and click game so of course there are puzzles. I was impressed with how quickly I managed to figure out some puzzles… but I was still frustrated at others. That was more so to do with me being bad at puzzle games! The music and the graphic style for Silence is incredible. A very different game. Would I classify this even a game though? Yes, but not in a normal fashion. Elegy for a Dead World is a writing simulator game. On Twitch I enjoyed playing this game and creating stories. However, I think this game would be more enjoyable for me off stream. While writing, I don’t like to talk. That does not work well on my Twitch stream. 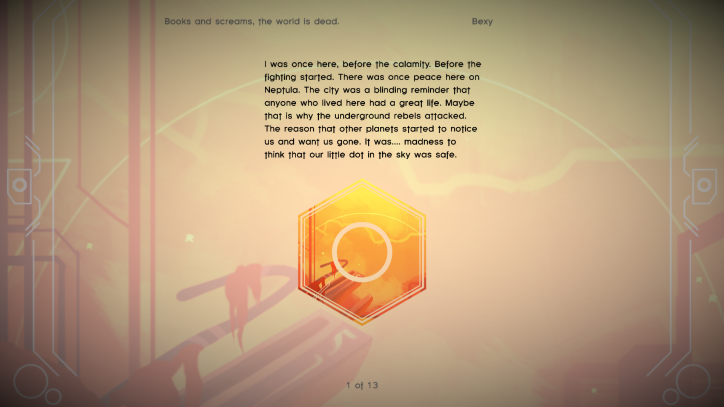 Elegy for a Dead World is a wonderful tool for creating stories. I LOVED this game. When I heard about A Story about my Uncle, I had to get it. I plan on writing a blog about it at some point in the future, but know this. If you like games that give you a thrill of movement like Mirror’s Edge, you will love this game. A Story about my Uncle is a short 3 to 4 hour game with a lovely story behind it. The narrative follows your character while he tells the story to his daughter. Reigns was a game I decided to play to celebrate Koningsdag. The game is a choice based game. The only movement you do is move your mouse left or right to select your choice. Even though the game seems super simple, there is a lot more depth to it. As the king, you select choices based on what is best for your kingdom. You need to balance religion, people, military and money. If any get too high or too low, the game could end in multiple ways. 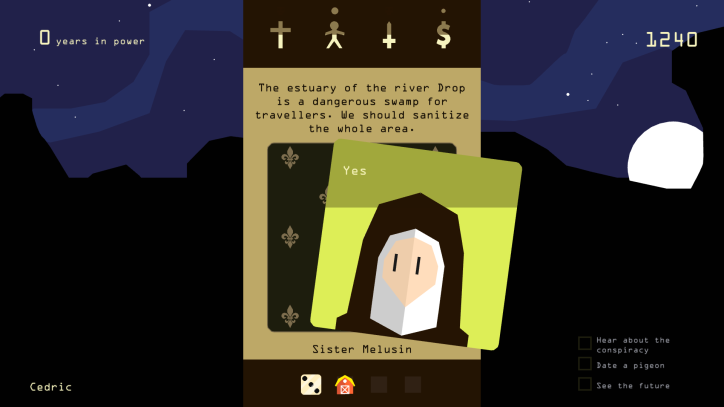 Reigns is weirdly relaxing. 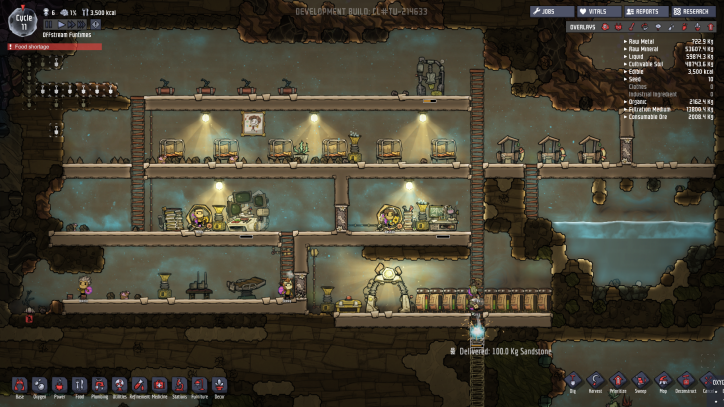 Oxygen Not Included is the new game from Klei. 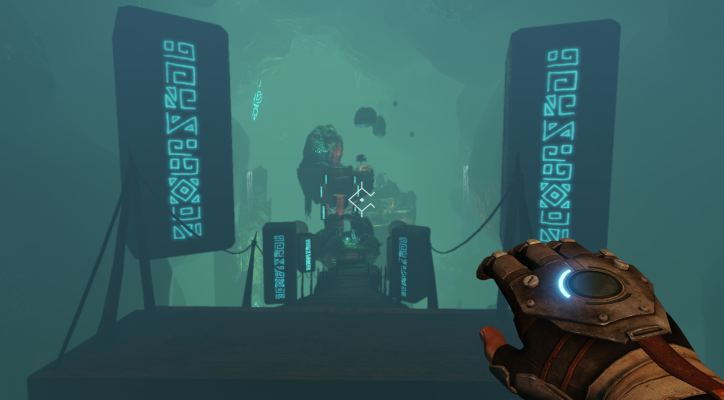 It is currently in Alpha, however purchasable on Steam. If I may be so bold, I classify myself as a big Klei fan girl. I LOVE the company and the games they produce. Needless to say, I was bound to love this game. Lo and behold… I do. I love it so much. Oh my god it is going to cut so many hours into my day. Once I learn more about the game, I will write a blog about it. But for now all you need to know about Oxygen Not Included is that it is a space colony simulator. I LOVE IT SO MUCH!!!! This was a very hard decision for me. I enjoyed all of the games throughout Indie Game Month. You would think that my favorite game this month was Oxygen Not Included. Now I would like to agree with you. Oxygen Not Included was definitely the game that I fell in love with. However I am going to classify Oxygen Not Included my golden game this month. Unlike the other games, Oxygen Not Included will more than likely a game I will constantly go back to over… and over… and over again. I have a variety of reasons why this was my favorite game this month. 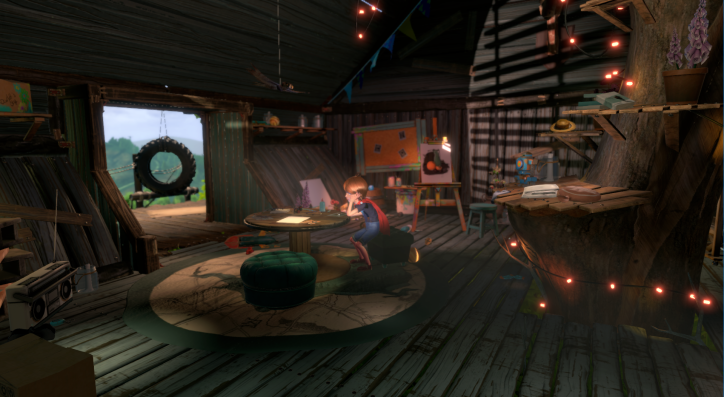 The artstyle of Blackwood Crossing is stunning. The music and the music ques of the game is amazing. I CRIED. Any game that makes me cry = great. I really do recommend that people try out Blackwood Crossing. Of course, all of the game this month I played are all incredible and I strongly recommend all of them. Did you enjoy Indie Game Month? What was your favorite game that I played? Let me know!